Some say that in a previous life he was a muscle car and he can drive a stick only with his left foot. All we know is, he's called The Stig. 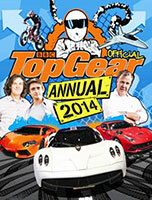 An engine-fuelled, high-octane Top Gear take on the festive season, as only the Top Gear boys can celebrate it. Ever wanted to know how many Jeremy Clarksons tall the London Eye is? 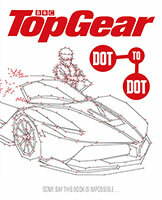 What about how to say the name of the volcano James May drove up? 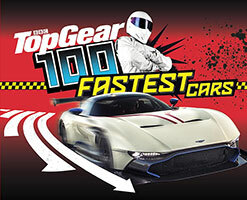 Presenting the greatest supercars of recent years, hand picked by the experts at Top Gear. 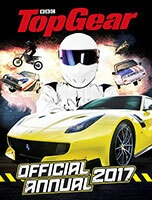 The brand spanking new edition of the nations favourite annual for grown up kids  The Big Book of Top Gear is back! Dropped deep in the Bolivian rainforest - it's the boys' toughest challenge yet! Will Jeremy plunge to his death as he attempts to overtake on the notorious 'Death Road'? 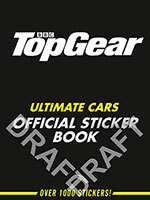 The biggest, brashest, loudest, funniest annual of 2009 - a bit like Top Gear on the telly ... except it's a book.